OF THE ORGANISATION The EuroEd Foundation is one of the most active NGOs in Romania in the field of education, with a focus on foreign language learning, equal opportunities in learning, social inclusion and active ageing. We are a founder member of QUEST (The Romanian Association for Quality Language Services), which is an associate member of EAQUALS (the European Association for Quality Language Services). Our projects have been awarded European distinctions of the highest level. EuroEd received 5 international awards in the last 7 years for the quality of its projects: 4 European Label Awards and 1 Worldaware distinction. EXPERIENCE OF THE ORGANIZATION IN PREVIOUS EUROPEAN PROJECTS EuroEd has been involved in over 30 EU projects and has also coordinated approximately 7 of these, in most of the branches of the Lifelong Learning Programme: former Socrates Lingua projects, KA2 (languages) projects, KA4 (dissemination), Grundtvig, Leonardo da Vinci and Comenius partnerships. In these projects, the roles of the EuroEd staff varied from managing the project to designing and implementing the dissemination strategy, product development (such as innovative methodologies or entire courses), sustainability and valorization strategies, events organization. 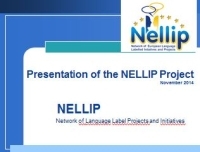 EXPERIENCE AND EXPERTISE OF THE ORGANIZATION IN THE PROJECT’S SUBJECT AREA EuroEd has implemented successfully several language-related projects and 4 of them were awarded the ELL. We have thus experience in designing successful dissemination strategies, models for improving impact and sustainability and raising awareness. 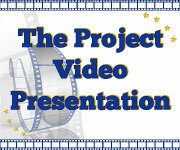 CONTRIBUTIONS THAT CAN BE PROVIDED TO THE PROJECT At EuroEd we can design strategies to enhance the impact, transferability potential and sustainability of projects and products that have received the ELL and to promote effective planning and implementation of high quality language learning and teaching initiatives. 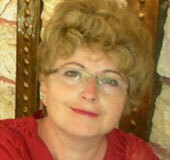 CONTACT PERSON’S EXPERIENCE AND EXPERTISE Anca Colibaba has over 30 years of experience in language education. She is the president of EuroEd and she has extensive experience in managing and coordinating transnational projects in the field of linguistic education and training, adult education and lifelong learning. She has coordinated over 25 (EU) projects in which the EuroEd Foundation has participated or which have been coordinated by EuroEd. Monica Vlad has worked in over 10 EU funded projects and has experience in networking, designing dissemination and sustainability strategies with a focus on language learning products and services, training teachers in ICT for foreign language teachers, social media. 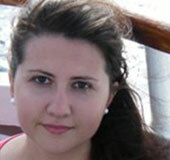 She has a BA in Romanian and English language studies and an MA in ELT (teaching English as a foreign language).